This PDF 1.3 document has been generated by Word / Mac OS X 10.9.5 Quartz PDFContext, and has been sent on pdf-archive.com on 08/01/2017 at 22:26, from IP address 84.221.x.x. The current document download page has been viewed 224 times. 4) La vita è creatività. 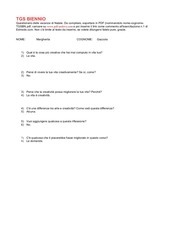 7) C'è qualcosa che ti piacerebbe fosse migliorato in questo corso? This file has been shared by a user of PDF Archive. Document ID: 00533453.